icture a scene with several performers. The stage fills with chatter about decorating a Christmas table, but one person interrupts claiming the stove is on fire. There is neither a table nor emergency, no script or direction. It’s improvisational theater, and the people aren’t actors but group therapy patients seeking psychological treatment. 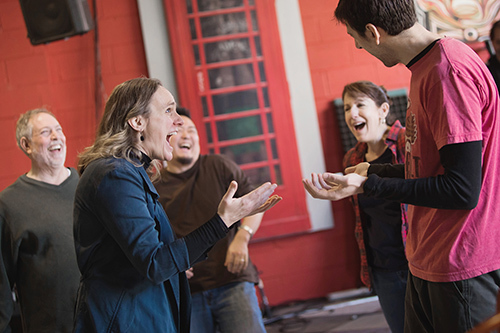 Improvisational theater exercises, more popularly known as “improv,” have long been used in therapy. As early as the 1960s, Viola Spolin pioneered exercises designed to tap into one’s self-expression and creativity. Over the years, psychologists have found several mental health benefits for patients from integrating improv into their practice, such as reducing anxiety and treating depression. Lewis College of Human Sciences alumna Kristin Krueger (Ph.D. PSYC ’04) rehearses with fellow cast members of The Therapy Players. Kristin Krueger (Ph.D. PSYC ’04) first encountered improv when a friend convinced her to enroll in a class in 2006. She says that improv helped her to overcome many of her inhibitions and feelings of self-consciousness, helping her extend past her comfort zone and improving her personal interactions. 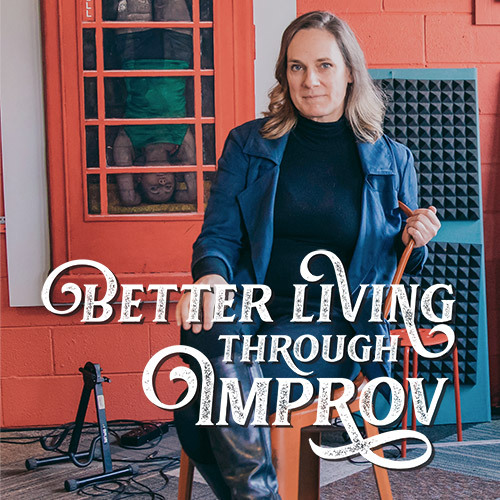 Taking interest in improv as a cognitive activity, Krueger decided to create a small clinical study based on mental health outcomes when she worked for the Cook County Health and Hospitals System. 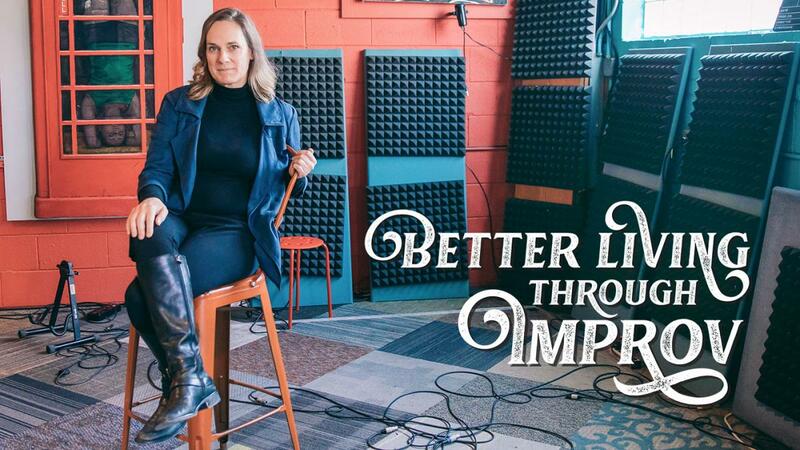 “I wanted to see if all the great things people say about improv could be measured, that it increases how you feel about yourself, that it reduces your depressive symptoms and anxiety and increases your self-esteem,” she says. The results of the study conducted by Krueger along with two Illinois Tech research collaborators were published in the paper “Thera-Prov: A Pilot Study of Improv Used to Treat Anxiety and Depression” in the Journal of Mental Health (July 2017). Krueger interviewed each person in her weekly practice treatment group individually, starting with an introductory survey on demographic information. She took five qualities designed to highlight mental health outcomes—anxiety, depression, self-esteem, satisfaction with social roles, and perfectionism—and found significant improvements in self-esteem, anxiety, and depression, alongside a trend for reduced perfectionism among participants after improv therapy. How is this addressed in practice? Besides doing improv skits, Krueger may select a game that targets a specific concern that commonly affects patients, such as fear of failure. The participants will then engage in a challenging exercise, and they will be required to celebrate every move they make, especially when they fail at it or make some kind of error. After the exercise, the group is given a chance to reflect on the experience. Krueger is currently working on a second study that seeks to categorize improv exercises based on cognitive activities. Her method involves inviting clinical neuropsychologists or trainees and having them participate in games, such as “Wind and Rewind,” which sharpens memory. Seated in a circle, participants go in order and say words that they associate with the beginning word. After the last person goes, everyone starts to chant the words in reverse order. Outside of her private practice in Elmhurst, Illinois, Krueger partakes in the Chicago-based improv troupe The Therapy Players, composed solely of psychotherapists, who are all trained in improv. A hit at many mental health conferences and meetings as well as at The Den Theatre and Stage 773 in Chicago and Oak Park’s Open Door Theater, the troupe bases about half of its skits on its work.